Today ( and all days), we tip our hats to one of the greatest American volleyball players to represent the sport, Kerri Walsh Jennings. 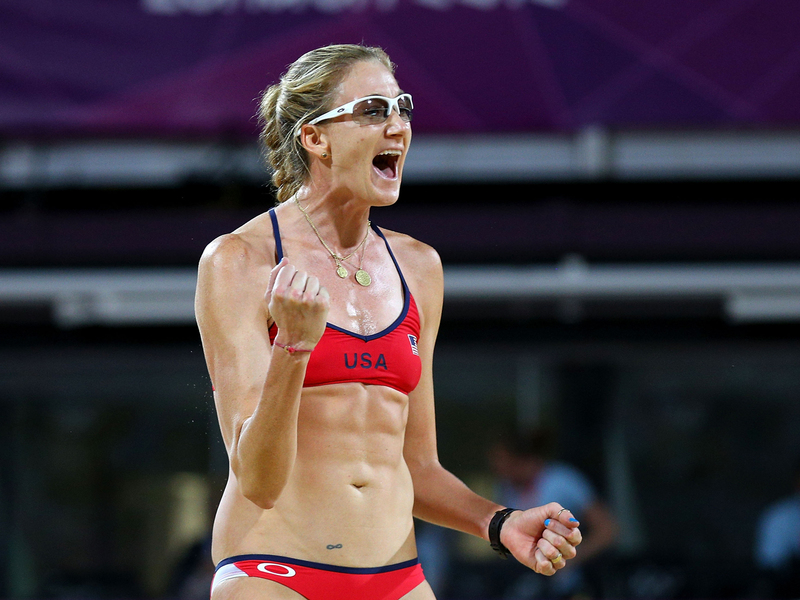 Walsh was the 2004, 2008, and 2012 gold medalist in the Summer Olympic games with her team mate Misty May-Treanor. Walsh is considered one of the greats in the sport, thriving at an early age. Some of her first brushes with greatness came during her college year, where competed at the collegiate level for Stanford University. At Stanford, she took home the 1996 and 1997 Nationals Title. Additionally, she was voted National Player of the Year in 1999, before her first appearance in the Olympic Games in 2000. While 2000’s Sydney games did not yield a gold medal, she won consecutively at Athens 2004, China 2008, and most recently, London 2012. After her Olympic win in 2012, Walsh has been training for the FIVB Beach Volleyball World Championships. After suffering a shoulder injury in early June, it was unclear whether or not Walsh would move on to the Netherlands 2015 finals. After a rehabilitation period, she went on to compete in the games. However, this year saw a shocking loss in the Round of 16, one of her earliest exits to a competition since her initial entry into the competitive world of volleyball in 2000. While this most recent loss is a minor setback, we are proud to see Walsh representing the United States on the global field. If Walsh chooses to come back in the 2016 Rio Olympic Games, we will proudly cheer her on! Build your own Beach Volleyball Court!